I'm playing with DYI dairy. Yogurt, butter, ice cream and maybe even cheese. It's been a fun and interesting learning experience so far. I just like the idea of knowing what goes in my food and how it's made. Home dairy is really super simple, not nearly as intimidating as it seems, or at least it did to me. 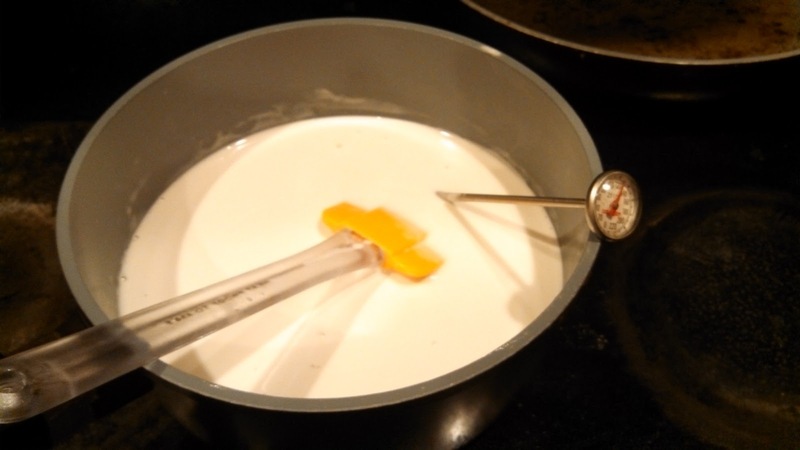 There is lots of information out there on how to make your own yogurt so I will keep this short and sweet. 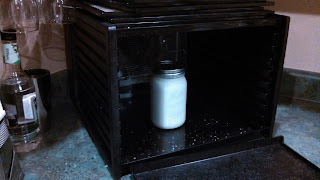 If you want more details check out www.makeyourownyogurt.com or this tutorial from Kitchen Stewardship. Step 4: Let incubate at 105-110 degrees for 6-24 hours. I just let mine sit in my dehydrator set at 105. Now you can use your own yogurt as your starter culture for successive batches. There are many starter cultures you can use. The easiest seems to be store bought yogurt with live active cultures but you can also buy freeze dried yogurt starter, or even use pro-biotic capsules. Now each of these options will have their own certain kind of pro-biotic bacteria. Seems to me that it might not be a bad idea to add in a different culture to bring in some more variety to the pro-biotic bacteria in your homemade yogurt from time to time. So my first batch I used store bought yogurt. When I made my second batch I used 3 tablespoons of my own homemade yogurt plus a packet of freeze dried yogurt starter. So now my new batch has a bit more pro-biotic variety. In another batch down the line I think I might throw in some pro-biotic capsules as well. I don't know if this will really make a difference but just seems like a good idea to try to introduce some variety in my yogurt bacteria sources from time to time. 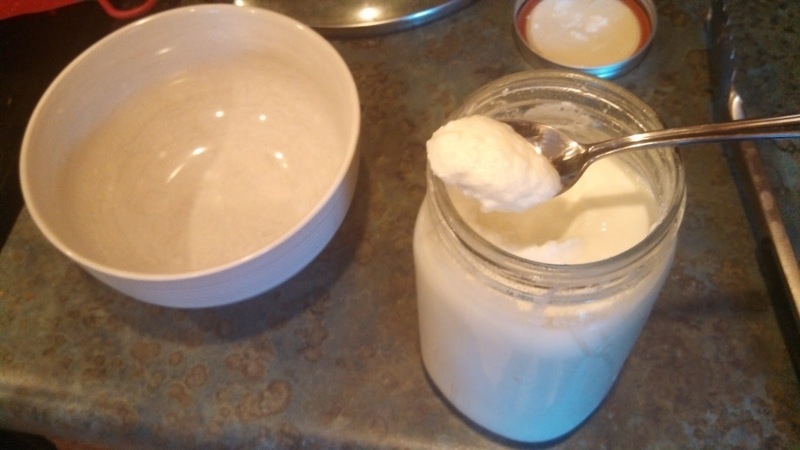 As I continue to use my own yogurt as my starter and add in different starters as well my yogurt will become more and more varied over time and that just seems like a good idea. So there it is, homemade yogurt! Making my own is so much more cost effective than buying store bought, plus I have full control of what goes in it. No fillers, thickeners or binders here and I can use organic local milk for the best possible product at a reasonable cost. And it's so easy! It take next to no active time at all! I'll be posting about my adventure if butter making soon so keep posted!